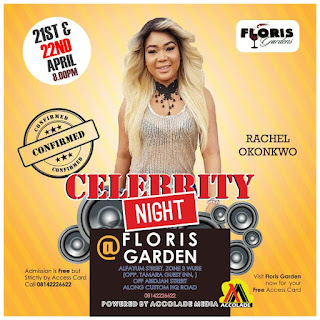 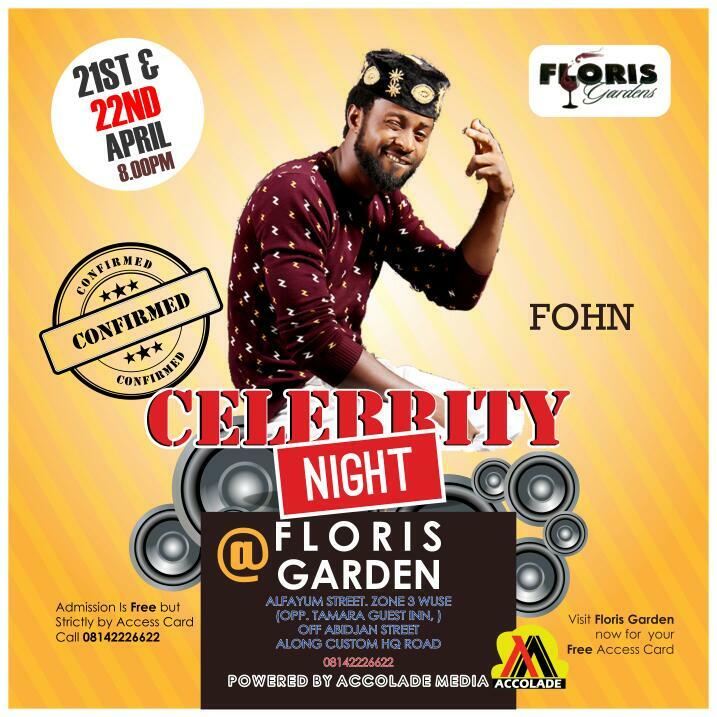 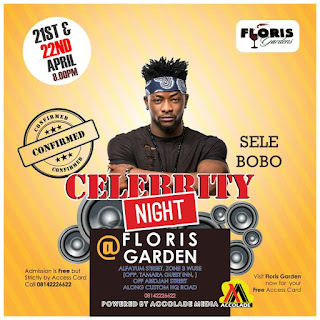 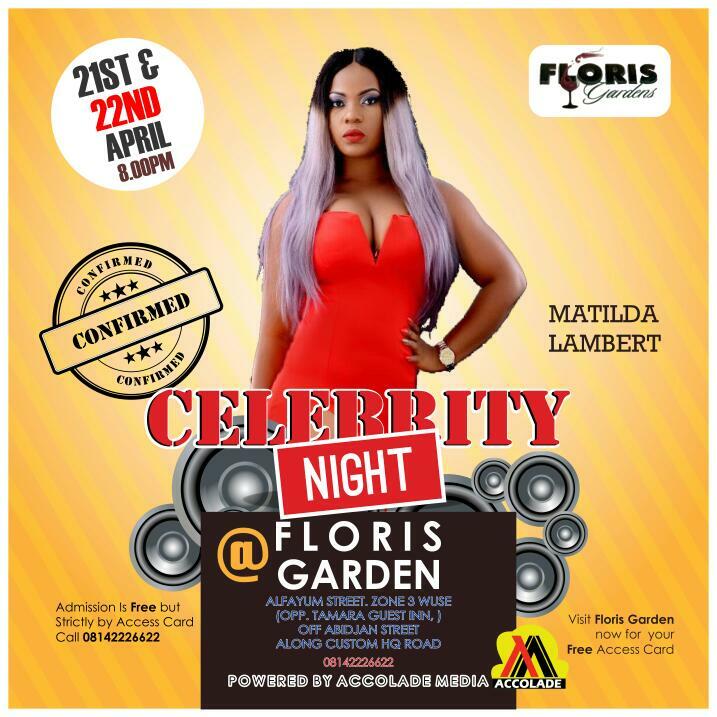 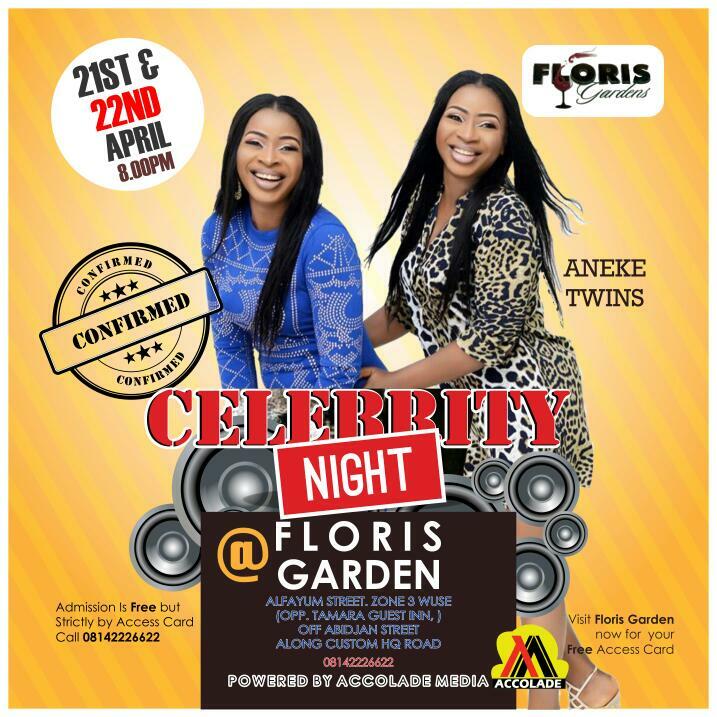 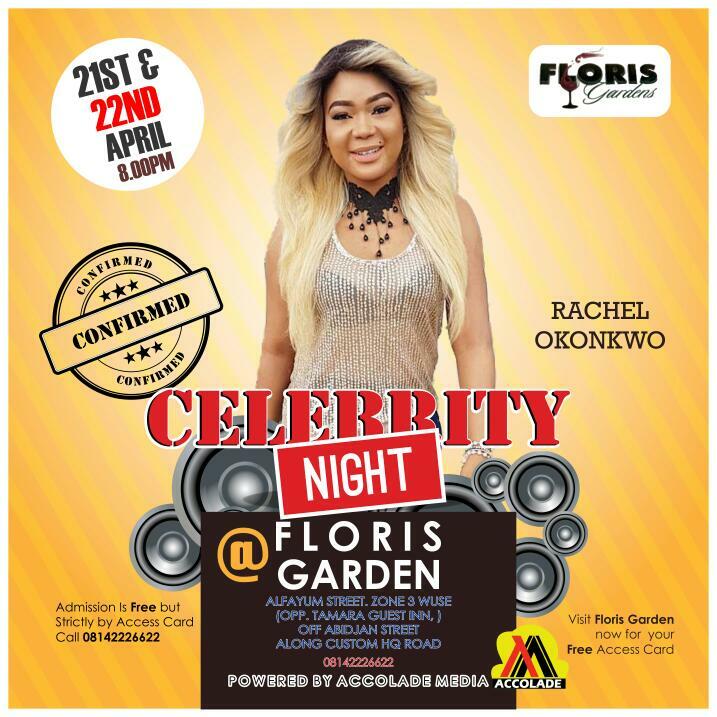 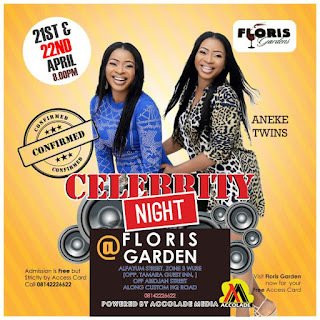 The much anticipated first quarter of the year event put together by Accolade Media will be taking centre at FLORIS Garden on the 21st & 22nd of April. 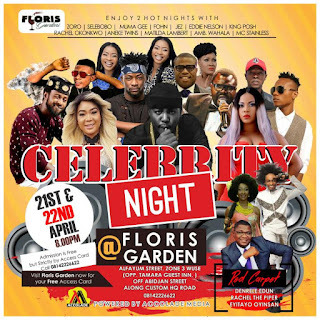 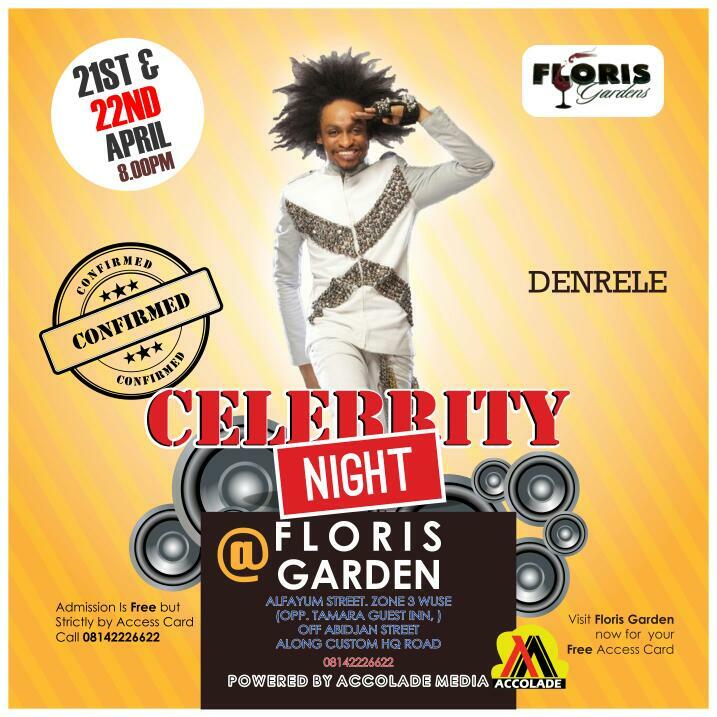 The show which is tagged " CELEBRITY NIGHT will be featuring the best of some A'list artists and nollywood stars. 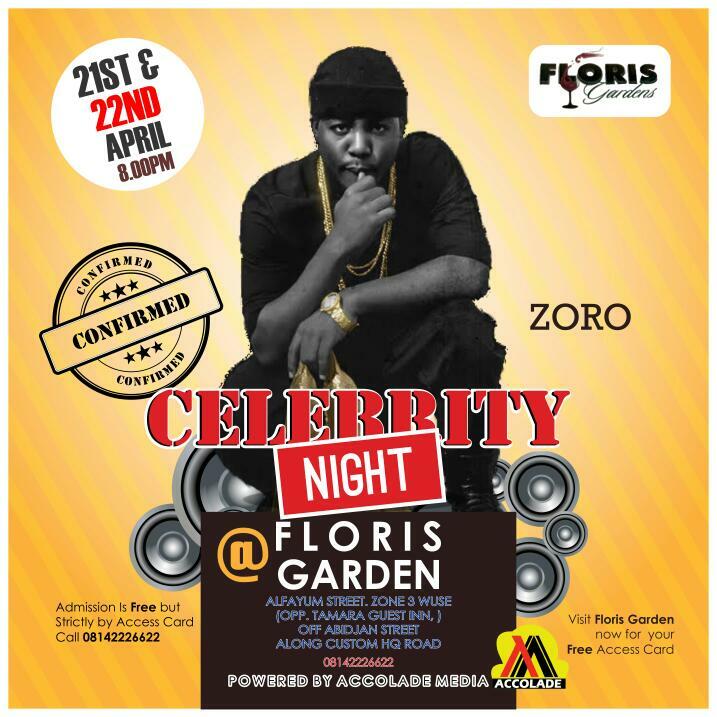 ‎The star studded event will be headlined for best of entertainment and celebration by Zoro, Selebobo, Muma Gee, FOHN, Jez, Eddie Nelson, King Posh, Rachel Okonkwo, Aneke Twins, Matilda Lambert, Amb. 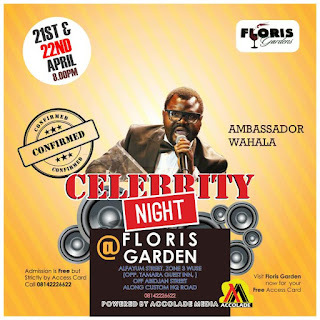 Wahala and MC Stainless. Celebrity night show promises to keep the spectators spellbound on their seats till the last action of fun. Speaking to cross section of media practitioners, the project director, Amb. 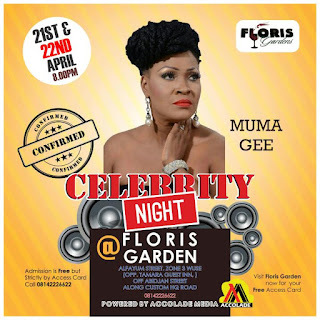 Ginika Tor Williams reiterated her‎ commitment to spice up the night with several side attractions of entertainment that involves dance, comedy and special performances. It would be recalled that the media guru championed a power packed entertainment concert with a pageant and Award late last year.